Floods are defined as an overflow of water production into a dry place. Floods happen in large quantities that can cause a lot of damage to both environmental and financial, depending on the power of the flood. Flood can cause many problems and even takes lives. The damage of house and other types of building needs resources to repair and it affects the people with long-term mental health problems. In addition to this, floods also destroy the crops, plants and other environmental aspects. Hence, a flood is considered a natural disaster. What is a Flood alarm system? Flood alarm is a security system which will alert you the presence of water immediately before it damages your home and property. This device consists of an alarm transmitter and a probe which detects the presence of water. 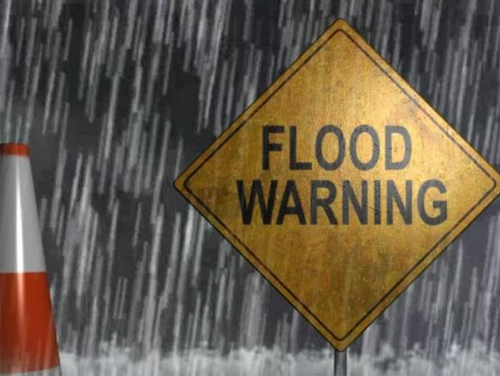 The flood detectors are installed in basements, bathrooms, laundry rooms, and anywhere else when there is a risk of potential for water damage. Everyone should have flood awareness and flood alarms or flood monitoring system that can warn the residents of incoming floods. Having the flood monitoring system in a place or house can prevent huge damage and limits the loss of assets. Flood monitoring is a smart and productive way to monitor the floods and prevents damage when a disaster happens. With the advanced technologies, there are many flood monitoring systems that will provide you the real-time alerts by detecting the floods and enables you to take measure in order to control the flood. Why Flood Monitoring is Important? Some of the high tech flood warning system will detect water and alerts you through a call or text message. A standard flood alarm monitoring system has a built-in detector and three sensors that are exposed to the water when a flood arises. This sends a signal to the monitor and will set the alarm to sound by providing an advanced intimation of a flood. When you think of the flood consequence, most people think about property damage. Physical damage caused by water affects your property and it cannot stop there. Even if you drain the water, dry the floor, furniture or wall, the risk is not reduced with the growth of the mold. Moist causes mold to multiply within a day and they pollute the air. This is a threat to human health leading to sneezing, allergy and even asthma. To avoid these vulnerabilities, you can install a flood warning system in your living area. This alarm detects the moisture or the presence of water as soon as it occurs. So, you can prevent a great loss to you and your property from the water damage. So, it is essential to know the importance of flood alarm and flood monitoring to avoid a great loss to human as well as property. 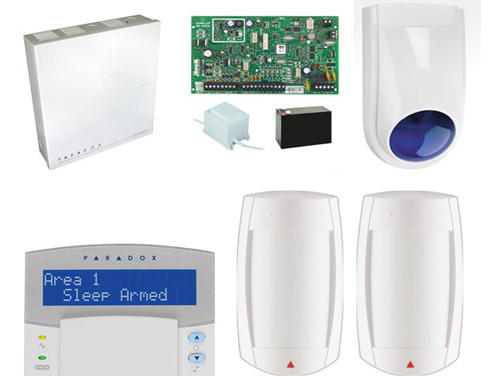 Paradox Systems is recognized worldwide as a leading company for creating some of the best DIY alarm systems in use. Paradox Systems is providing its services at a very reasonable rate and maintaining optimum quality as well. On a positive note, Paradox is known for its innovative research and development which makes it one of the most popular companies among its competitors. You can seek Paradox’s help if you are looking for the following services. If you are looking for an alarm system with auto text messaging capability, Paradox can provide it’s users a smart alarm system which can text user in any case of emergency. A security device can be managed from a remote place with the help of wired or wireless internet connection provided by Paradox. If a person needs to change or alter the settings of any security device remotely, he can easily do so with the help of a mobile or other electronic device. If you are looking to upgrade your system with any latest update, you can easily do so due to the flexible design of the security systems provided by Paradox. MG5050 alarm panel is manufactured by Paradox security and maintained on a very less price. MG5050 is specifically designed for the domestic sage and it comes right out of the box with wireless capability as it contains an inbuilt receiver. Paradox USB programming makes it easier for PIR sensors to work properly. You just have to enter your device serial number, upload the settings to make any kind of adjustments you want to make in the sensors and the security system. Paradox Rem 2 remotes does two-way communication with a built-in sensor. This makes the status available only to the person who has the authority of the remote. These remotes provided by the Paradox Security are best in business and shows a very good built quality to endure the unavoidable wear and tear while handling. 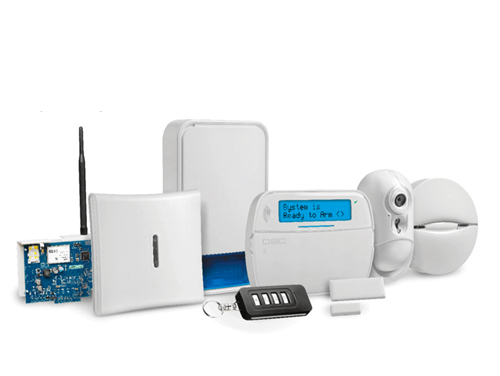 How Paradox alarm system is different from others? To make the alarm system more user-friendly, it is equipped with a touch screen and a smart remote. One can lock and unlock the security details with the help of a security code or even a fingerprint. Smart remote is capable of giving access to the user and it can also be locked by the user to ensure that it doesn’t go into the wrong hands. It allows the user to test the zones and control the partitions by giving them access to the control panel. Paradox IP150 helps you in connecting to your home from a remote access. The iparadox app also helps in making the interface more of user-friendly. You can contact us on the given address for any queries. Are you really safe with Burglar Alarm System? 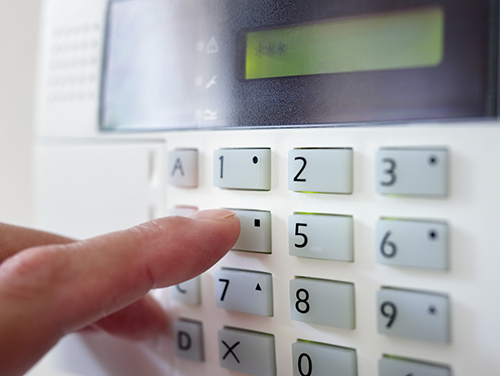 Burglar alarms are the first line of defense for people under attack from unwanted guests. Burglars often break into houses which lack security systems. But with changing world and technological advancements, thieves and burglars are equipped with modern tools and gadgets to find the breach in the security systems. This raises a question that “Are we even safe with Burglar Alarms installed in our homes? “ Let’s try to find the answer with the help of some facts and figures. 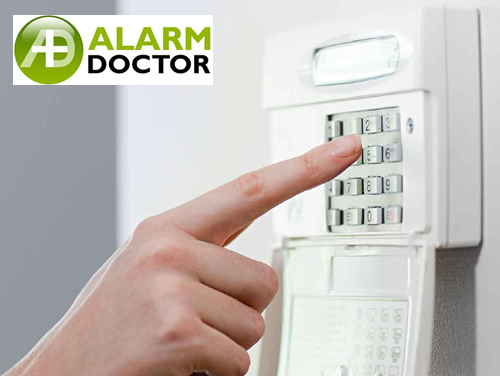 Most of the times alarms get ignored by people at crucial times as false alarms are very common in the alarm systems. Ignorance always creates a window for Vulnerability in the security system and people become a victim of their own faults. Sometimes we get dependent upon the alarm system so much that we ignore that fact that it can also go off or malfunctioned if not serviced or maintained well. To ensure the security of the loved ones, one must not ignore small indications of misconduct or breach in the security system. Burglars target the houses with no anti-theft systems or absence of burglar alarm. Burglar alarms create a psychological barrier inside the burglars that keep them away from the houses installed with the burglar alarms. A survey, says, 83% of the burglars check for the alarm system before entering a house or a protected area. Most of them admitted that it creates a mental barrier over the burglars who make it difficult for them to do perform any theft or burglary. There are many anti-social elements which take help of technology to make a breach in the security system of a house or an important place. To tackle these types of unwanted guests, high-tech alarm system play a big role. Laser guided sensors and three-phase security walls ensure that even most advanced tools or techniques cannot make any breach in the security systems. CCTV cameras with night vision capability provided by infra-red technology make its way to capture high definition video footage of the event. Which Burglar Alarm to go with? In the heap of too many options available for the choice of the right Burglar alarm system, you have to take care of the following factors which will help you in identifying the correct type of burglary alarm for you. What is your budget for an Alarm system? How sophisticated you want it to be? What is your potential threat? How much you can spend on the maintenance? A person’s safety depends upon his own awareness, Burglar alarms can only be an asset to your security but at the end of the day, only your own precautions can be your best resource. Power failures can be frustrating and long lasting if not backed well. Power outage causes a family to move out of the house or location for a while. In a situation like that, a reliable alarm system is needed along with a power backup which can run the security system until the power gets back. Lack of power input can shut down the security systems and that can be very dangerous for your family. Whether the power failure is intentional or accidental, the only thing which gets compromised here is the security of your loved ones. In an emergency situation like power outage ‘Alarm Doctor’ can be very useful to you. The possible duration of a power-cut or power outage can be determined with the help of a smartphone app provided by Alarm Doctor to the users. This application can calculate the available power backup inside your house and compare the data with the power outage in your locality. This application can also tell the power outage status of the locality and city which can determine the seriousness of the problem. If power outage in your house exceeds 10 minutes, it automatically alerts you on your phone. The smart application provided by Alarm Doctor can save you from sufferings due to the Power outage. With the perfect backup system provided by our company, you can easily track the power status of your area even if you are away from home. Alarm Doctor gives a 24-hour battery backup for its security systems which can keep working even there is a power outage in your locality. It not only gives users a freedom to go wherever they want but also give an indication of a possible duration of the power cut or power failure. You can remotely adjust the power load in your home and even call security agencies at the time of emergency. You can adjust your accommodation for a limited period of time as the home is the only place where you feel comfortable at the end of the day. But it becomes difficult to predict the return of power after the power outage. This makes it difficult to determine how long it will take power to return. Our application can help you predict the return of the power supply. The mobile application works on the basis of data collection of the local areas’ power status and thus making a predictive model of the chances of the power return in an area. This can give you enough time to make your adjustments. The app is also inbuilt with a map which can show you the real-time status of the power status in your city.